Blaise Pascal Research Papers discuss his invention of the first adding machine that came about 300 years ago. There are many important mathematicians in science but seldom do math professors require research papers on them. A research paper on Blaise Pascal presents an opportunity to write about a great mathematician, engineer, inventor and physicist. Blaise Pascal research paper due and don’t know how to start it? How about like this? 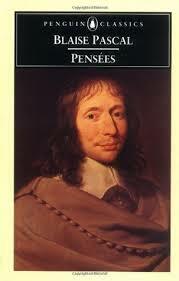 Blaise Pascal was born on June 19, 1623 in Auvergne; he died on August 19, 1662, in intense pain from cancer. He led a fascinating life in his short 39 years. When he was born, his father was a successful lawyer. His mother died when he was only three years old. He had one older and one younger sister. Pascal was a sickly child-the effect of being brought up without a mother, an only son between two sisters. His health and the fact that his father insisted on educating him at home played a part in his development as a child. His father was an accomplished mathematician, as well as a successful lawyer, and he educated him from 1631 until 1640, which gave him a solid foundation in Latin, Greek, mathematics and science. It is amazing that Pascal invented the first adding machine over 300 years ago. In fact, it is even hard to imagine that his calculating machine is a precursor of today’s giant computer systems. Although the possibility of calculating large sums by machine had been thought of before Pascal, he was the first to bring it to realization. The idea of Pascal’s machine a calculator came to Pascal toward the end of 1640, but it wasn’t until two years later that his first model was finished. Had he done nothing else in his short years, his mathematical work by itself would have made him forever famous. Some of his work that he was able to get published has actually disappeared, while other writings never even reached the stage to be published, but what did make it and stayed is substantial and, to say the very least, is impressive. “…Pascal’s early introduction to geometry seems to reveal his characteristic scientific mentality-an inquisitive impatience combined with independent judgment and issuing in cogently reasoned demonstration”. Pythagoras research papers examine the Greek mathematician and philosopher best remembered for his contribution to geometry, the Pythagorean theorem. Descartes research papers examine the French philosopher and mathematician who is best remembered for the phrase. Order a research paper on Descartes from Paper Masters. Albert Einstein Research Papers - He is one of those mathematicians — he is like Newton in this respect — whose work not only altered a scientific discipline, physics. Use of Mathematics in the Medical Field Research Papers examine a sample of an order placed on the use of mathematics for MRI's with details. Paper Masters writes custom research papers on Blaise Pascal and discuss his invention of the first adding machine that came about 300 years ago.